Charter Flight Group has your private jet charter flight to Los Angeles. Whether you are planning your private charter flight for business or personal reasons, Charter Flight Group has the right charter jet for you. With over 30 years experience in private charter service to countless destinations worldwide, we can provide you with the right jet when you need it. Our expert flight consultants can be reached 24/7 to book your flight to help you avoid the crowded airport terminals and long security lines. Charter Flight Group has a vast assortment of turboprop planes and jets both large and small. With many aircraft from which to choose, such as the popular Beechjet 400XP, the Cessna Citation Sovereign, and the Gulfstream V, Charter Flight Group can fly just you or your entire film crew out of and back into Los Angeles. In addition, we can handle on-demand flights and even offer one-ways and empty leg private charter flights. CFG Global Partners fleets consist of all luxury aircraft which meet and exceed all FAA regulations and inspections for aviation operation, maintenance, and licensing. This is supplemented by having safety groups such as Wyvern and ARG/US regularly audit and inspect all aircraft. All Charter Flight Group operators are carefully-selected for their flawless records and professionalism and all maintenance procedures and records are to be kept faithfully to ensure safe and comfortable private charter flights. At CFG, we leave nothing to chance. When you arrive in Los Angeles on your private charter jet, there are a few things you may want to know. Most commercial jet air traffic enters the City of Angels by way of Los Angeles International, or LAX as many prefer. This airport is located at the end of I-405 right alongside the Pacific Ocean and provides an amazing view, especially during sunset. However some, especially celebrities and well-known executives, prefer to have their private charter jet flight land at either Whiteman Airport to the north of the city or Van Nuys to avoid publicity and the nuisance of reporters. Both airports are well-equipped for executive jet travelers and routes into Los Angeles are relatively easy to follow. If your private charter flight is taking you to Los Angeles on business, it is helpful to know that besides the movie and music industries, there are two thriving port authorities, the Port of Los Angeles and the Port of Long Beach that handle considerable International trade, especially from the Asian Rim. 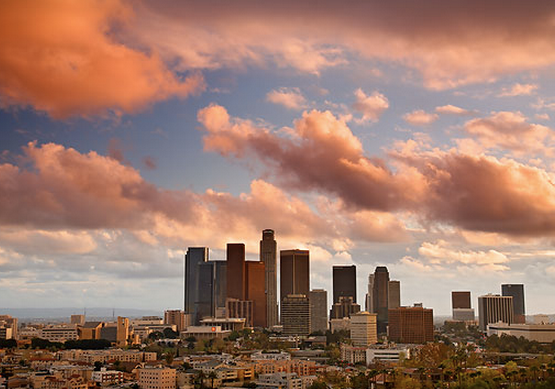 In addition, many major industries call Los Angeles home including giants in medicine, law, and aerospace. Finally, it should be noted that Los Angeles County is home to over sixty colleges and universities. Places to go in Los Angeles include of course the LA Lakers, Angeles and Dodgers so if you like major sport events this is the place to be. Los Angeles also has dozens of museums, art galleries, theaters, spas, and country clubs so that there is no shortage of things to do. Many of these are exclusive, so be sure to ask your private charter flight consultant to provide you with details and assistance, if necessary. 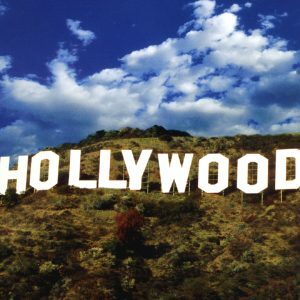 For the young ones along, there is an abundance of water sports, amusement parks, arcades, go-cart tracks, and other similar venues for their entertainment and never forget that all six major movie studios are located in Los Angeles and each provide tours. When you choose Charter Flight Group for your private charter jet flight to Los Angeles, you are on board with expert flight crews that have only two things in mind: Your safety and your comfort. CFG offers the most flexible private charter arrangements of any jet carrier and their luxurious, comfortable jets provide you with the exclusive, relaxed atmosphere you desire in a private flight. With the finest private charter consultants in the world, CFG can offer you jet flights to any destination domestic or foreign with very short notice. With one of the largest fleets in the world, you are sure to obtain exactly the right private charter jet for you.